Blog TFC Races for the Cure! TFC Races for the Cure! Breast cancer is one of the leading causes of death for urban women. One in eight women throughout the country will hear these four devastating words: “You have breast cancer.” With generous support from The Greater NYC Affiliate of Susan G. Komen for the Cure®, TFC works with NYC mothers and caregivers who have received this terrifying message. We provide them with services to manage their health and take care of their family during their battle with breast cancer. Each year, TFC puts together a team of supporters, clients and staff to run/walk for the cure with Komen Greater NYC. On Sunday, September 12, 2010, TFC staff and consumers were proud to be a part of Race for the Cure to raise funds and awareness for breast cancer research and local community services for women and families impacted by this devastating disease. We enjoyed a great day of celebrating health as we made our way through NYC’s beautiful Central Park -and there’s still time for YOU to join in the fun! To sponsor our team or an individual participant, visit our team page here. 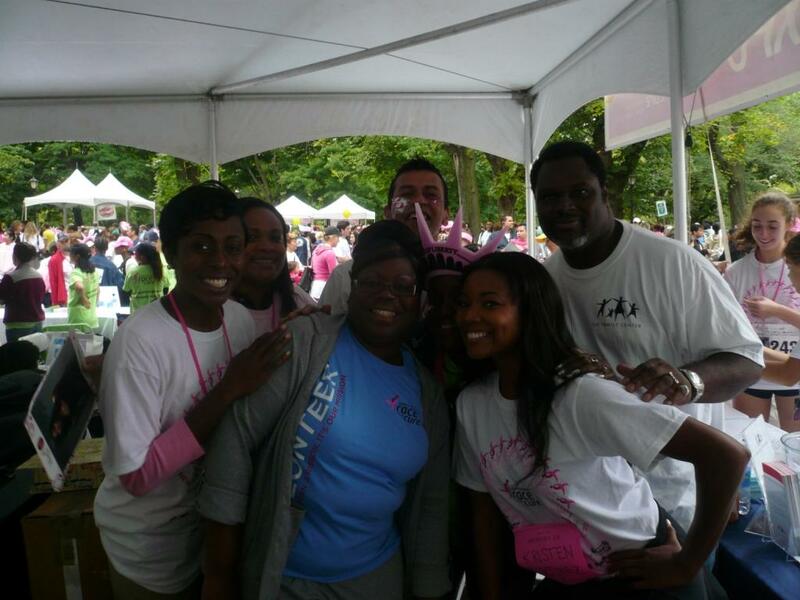 The Family Center was also excited to announce that our very own Executive Director, Ivy Gamble-Cobb, who sits on the Board of Directors for The Greater NYC Affiliate of Susan G. Komen for the Cure®, appears in a promotional Race video. Click here to see Ivy talking about The Family Center’s work funded by Komen Greater NYC!